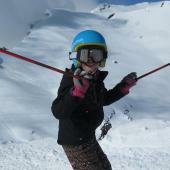 Whether you are driving down to the Southern French Alps for a summer activity holiday in the Alps, going for your winter ski holiday or winter activity holiday, make your journey more interesting with our top tips for en route stopovers. If you are wondering whether driving down to the Alps in winter is actually a good idea at all, read our blog To drive or not to drive to a winter holiday the Alps and if you are driving in winter, read our top tips for driving in the snow. With 2 drivers to share the journey you could simply power on down. But breaking your trip up with a stopover takes the pressure off and allows you to discover a part of France that you wouldn't have otherwise found. Taking it easy on the accelerator also means you'll make significant savings in fuel costs as well as reducing your emissions. Fuel savings could pay for your en-route accommodation which will in turn contribute to the local economy… so save money, be a greener, responsible traveller and have a relaxing and interesting drive down to the Alps – everyone’s a winner! 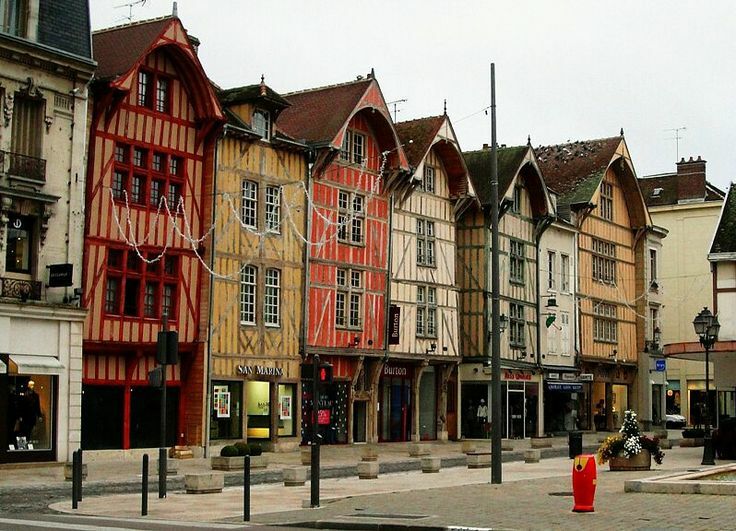 The charming medieval town of Troyes is a fairy-tale city with a maze of picturesque streets and narrow alleyways. Lined with timber-framed houses dating from the 16thcentury, home to a magnificent gothic cathedral and beautiful courtyards, this ancient capital ofthe Champagne area would make a great stop-over. To add to all this, you could even sample some of the region’s champagne! The town of Troyes (pronounced ‘trois’, French for three) is about a 4 hour drive from Calais. If you are passing through you should definitely not miss tasting the bubbly tipple that comes from the region. There are daily tours and tastings that take place during the summer. During the harvesting time (end of September early October) you can even go and witness the collection and transformation process. If you are a bit pushed for time you could visit Aux Crieurs de Vins, a popular wine bar in the town centre. 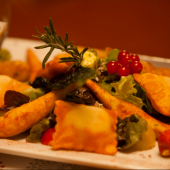 It’s stocked floor to ceiling with wine crates and serves a tempting selection of plats du jour for lunch and dinner. Must try local specialties include local ham and game, and the Chaource, a soft white cheese which is a rich with a mild flavour which is soaked in….champagne of course! Dijon, the mustard capital of the world! 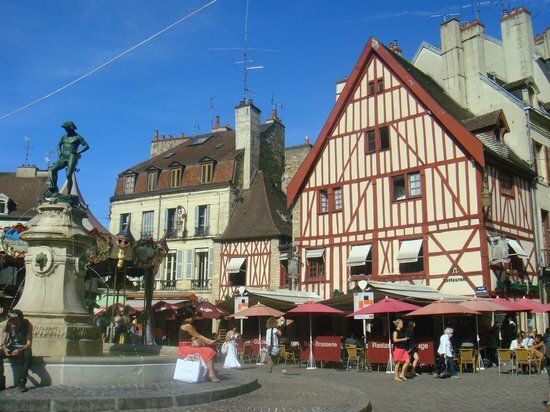 Dijon is one of France’s most appealing provincial cities with one of the best preserved medieval centers in France. With elegant medieval and Renaissance buildings, and pedestrianised streets the lively centre is wonderful for strolling and taking in the history. Dijon was the capital of Burgundy from the 11th to 15th century. During the reigns of Philippe-le-Hardi (Philip the Bold), Jean-sans-Peur (John the Fearless) and Philippe-le-Bon (Philip the Good) during the 14th and 15th centuries, some of the finest painters, sculptors and architects from around the Burgundian lands were brought to Dijon, turning the city into a great centre of European art. This art is shown in the famous Fine Arts Museum which some might say is second in line after the Louvre in Paris. You can also find some rare Egyptian antiquities and a selection of more modern art. The museum is housed in the Palace of the Dukes of Burgundy which is a magnificent building. You can climb the 316 steps of the Philippe Le Bon tower to have a beautiful view over Dijon and the surrounding vineyards. The Cathedral of Saint-Benigne de Dijon, Dijon's patron saint, is worth a visit. It is a maze of stone chambers and vaults and includes a small rectangular chapel where the relics of Saint-Benigne were buried. The crypt is believed to be one of the oldest Christian sanctuaries in France. To get your bearings and learn a bit about this historical city there is walking tour that guides you around the city. The trail is fun to do, takes about an hour and the way is marked by owls that are carved in the building sides. The trail starts just outside the Tourism Information Center on Place Darcy, in the heart of Dijon. But there's no reason to hurry, you can take your time and soak up the friendly atmosphere in the many museums, galleries, shops and cafés terraces! You could even try the local specialty, mustard! With two rivers running through its centre; la Saône and la Rhône, Lyon is blessed with a rich 2,000-year-old history. The third largest city in France has also been honoured UNESCO World Heritage Site status so you can explore thousands of years of well-preserved History. From the largest Renaissance district in Europe, Roman ruins to more contemporary museums, shopping areas and a lively café scene. You can buy a Lyon City Card which gives you access to all the sites…so there is no excuse not to fall in love with this vibrant city! The old town is a world heritage treasure. It is one of the biggest areas of Renaissance architecture in Europe and it has succeeded in maintaining an air of mystery. Historically, Lyon was known as an important area for the production and weaving of silk. You can visit some of Vieux Lyon's 'traboules' (secret passages) a couple of which date from Roman times but most were constructed by silk weavers in the 19th century. This network of tunnels in the old town were built to facilitate the transport of silk in inclement weather and resistance fighters found them equally handy during WWII. 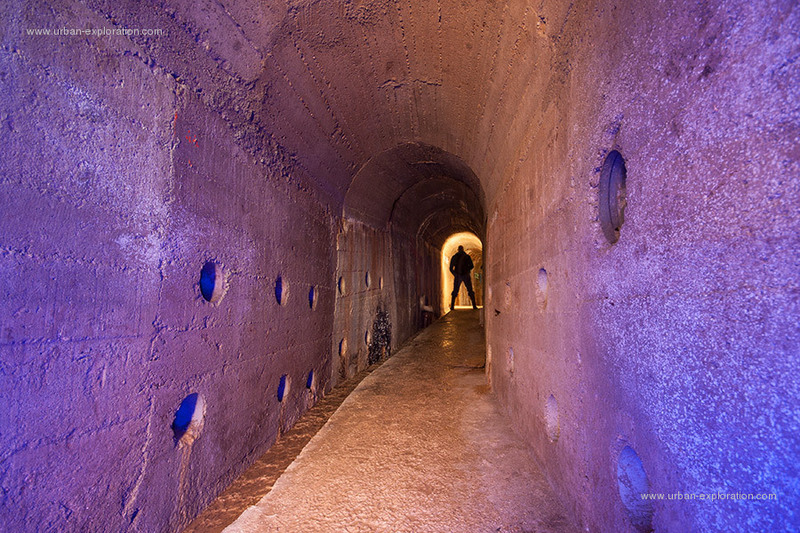 You can spend hours exploring this underground network and guided tours are available. 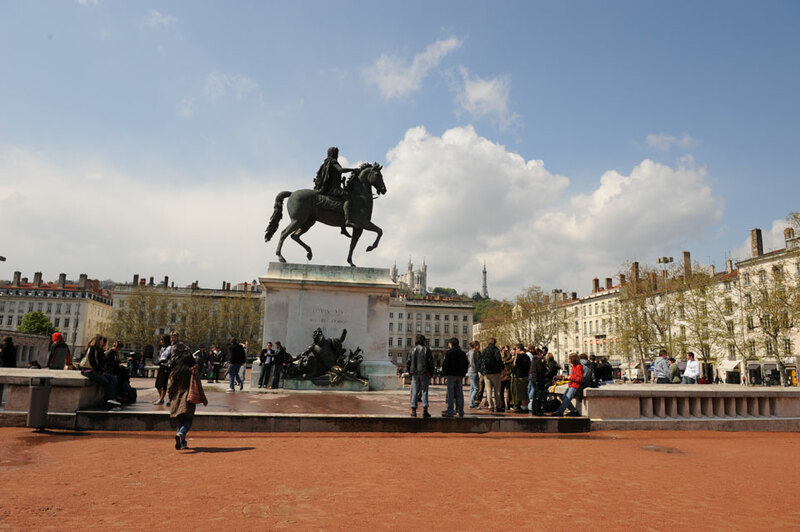 Place Bellecour symbolises Lyon’s history and heritage. Built in the 17th century, the original statue once housed in the square's centre was created by Desjardins that portrayed Louis XIV. However, this statue was destroyed during the French Revolution. Today, it is one of the few remaining royal squares, and the statue has been replaced with one by Lemot. Fourvière Basilica is also really worth a visit. From the top of the hill with the same name, an outstanding and unique view enables you to understand why the city has been classified a world heritage site. You might even be able to see the Mont Blanc in the distance! There is free access to the roofs of the basilica with the Lyon City Card. Place des Terreaux started out as the home to the guillotine, and was where the crowds gathered to watch the public executions. Now it’s attraction is the elaborate water fountain in the center. Magnificently decorated with fibre optics and “luminous” water columns it was designed and sculpted by Bartholdi, the same sculptor who designed and built the Statue of Liberty. There are plenty of cafés that have popped up around its edges so it’s a great place to drink a coffee and watch the world go by. Lyon is also said to have more restaurants per square metre than any place on earth and has developed a reputation as the gastronomy capital of France. So why not dine in one of the ‘Bouchons’, a traditional Lyonnais restaurant which have a friendly and convivial atmosphere. Beware, the menu consists of fatty foods that are heavily oriented around meat. Dishes include sausages, duck pâté and roasted pork. Vegetarians are to give this one a miss! Lyon is home to the second largest Chinatown in France (on rue Passet, rue d'Aguesseau and rue Pasteur). Thanks to its silk industry and due to the silk farming crisis of 1856, Lyon created a strong relationship with China. A Franco-Chinese institute existed from 1920 to 1946 at Fourvière for Chinese students and the city now boasts a Chinese community of 15,000 inhabitants. Or you could take a walk along the Rhône. With over 5 km of walkwaysthere are lawns, outside cafés, deckchairs, pools, barges, concerts or restaurants for just taking it easy. And for the more athletic among you there is a cycling track, a roller park and a fitness circuit. A great way to spend an afternoon. A real mix of history, gastronomy, and more modern culture, Lyon has plenty to offer. There is so much to see and do and makes a worthy pause. Just 1 hour into the French leg of your trip Bayeux, famous for the D-Day landings, is really worth a visit. It has lovely narrow cobbled streets and a superb market where you can buy some supplies for the rest of the journey! Whether you are interested in the 11th century Cathedral of Notre Dame, the famous Norman Bayeux Tapestry, the unbelievable history, museums and memorials dedicated to the D-Day landings, or pottering around the market there is something for everyone. If you are feeling brave enough you could always stop off just East of Paris at Disney Land. It will make your children’s year! After this leg of the journey, you cross France and join the Calais route just South of Dijon. 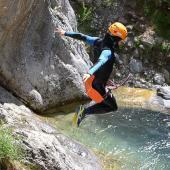 Taking the relaxed option to take your time coming down to the Alps and enjoying these stopovers takes the stress out of the journey, saves you money and the environment, and you may well even learn a thing or two. There is no doubt that you will also be ready to start your multi-activity holiday with more energy and get your week off to a great start! Hi Kenny, Saint Quentin and Reims are 2 cities that are about 2 hours away from Calais. Both are historical cities with beautiful cathedrals. If you'd like a smaller town I would suggest Laon which is between both cities and Stopover Connections recommends a b&b there. Hope this helps! 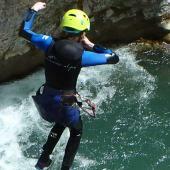 Hello Have a look in the Mâcon area there are a few nice looking B&Bs and there are a few accommodations here. Anse also seems nice. We can't vouch for any of these accommodations. I hope you find something!